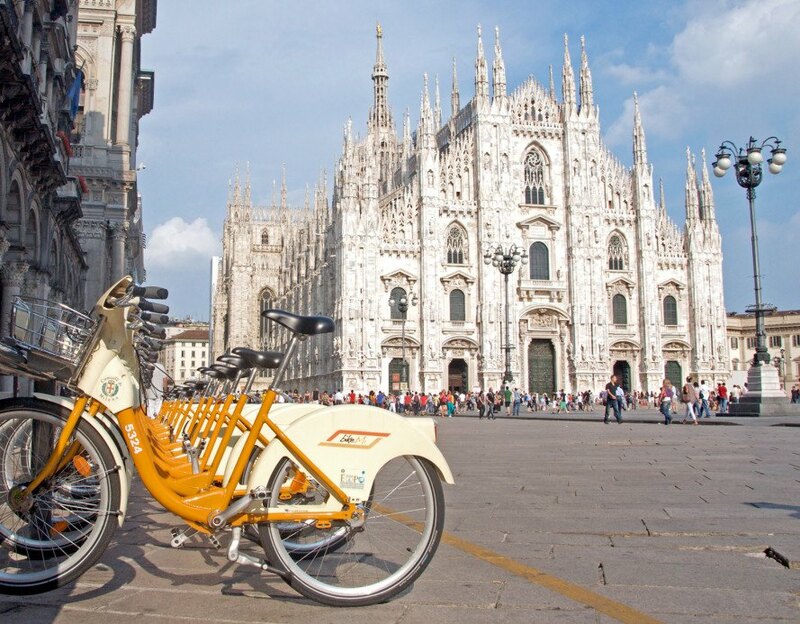 After 2015 brought some of the worst air pollution on record, the city of Milan, Italy is considering a dramatic solution to improve air quality: paying residents who choose to ride a bike to work rather than driving. In late December, smog became so severe that the city had to ban the use of cars for three days, along with the traditional end of the year firework displays. So it makes sense that officials are trying out new schemes to cut down on air pollution – and they’ve set aside €35 million to the cause. While last year’s smog was unusually heavy, air pollution is nothing new to the residents of Milan. In 2008, Milan was named Europe’s most polluted city, and it has remained one of the worst on the continent since then. The plan to promote cycling is borrowed from a similar system trialed in France in 2014, where employees were paid 25 cents for each kilometer they pedaled to work. Unfortunately, in the French trial, only 419 people out of 10,000 who expressed an interest ended up actually following through. It remains to be seen whether similar programs will be more successful in other countries. Milan is planning to pay a higher amount to provide a better incentive for commuters, but because of the money involved, the city needs a way to verify that people who claim to be biking to work are telling the truth. One potential solution would be a smartphone app that tracks the speed of the user’s commute to test if they’re truly cycling — unfortunately, given Milan’s heavy traffic, it’s possible that bike riders would move faster than drivers anyway. 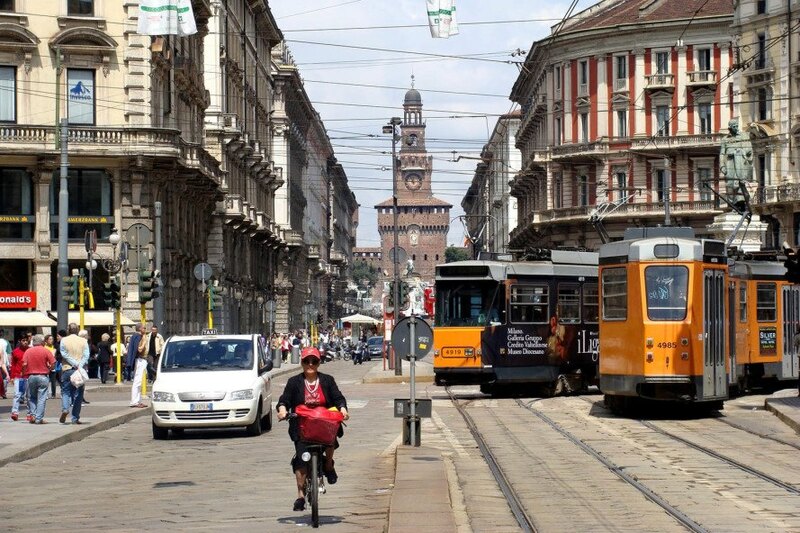 Ultimately, however, experts are skeptical that the financial incentives will do much to change the way people in Milan commute. The city is not necessarily bike-friendly in all areas — and although more bike routes are being built, the infrastructure simply doesn’t exist where many people live or work. And of course, there’s another obvious problem: in a city with some of the worst pollution in Europe, it’s hard to convince people to exercise outdoors. Milan's air pollution has become so bad that the city is considering paying people to ride their bikes rather than driving. While last year's smog was unusually heavy, air pollution is nothing new to the residents of Milan. In 2008, Milan was named Europe's most polluted city, and it has remained one of the worst on the continent since then. The plan to promote cycling is borrowed from a similar system trialed in France in 2014, where employees were paid 25 cents for each kilometer they pedaled to work. Unfortunately, in the French trial, only 419 people out of 10,000 who expressed an interest ended up actually following through. It remains to be seen whether similar programs will be more successful in other countries. Unfortunately, many parts of Milan lack cycling infrastructure like dedicated bike lanes.